In February 2013 EYCE published “A Manual for EYCE Member Organisations to Become More Sustainable” which is considered as a first step of the project Be Eco Heroes! By this venture, EYCE calls for its member organisations to self-evaluate its impacts on the environment, set achievable goals and bring about positive changes in their actions. In order to assure ownership and relevance of the project, concrete objectives, process and methodology was developed together with representatives from EYCE member organisations in October 2012 in Warsaw, Poland. 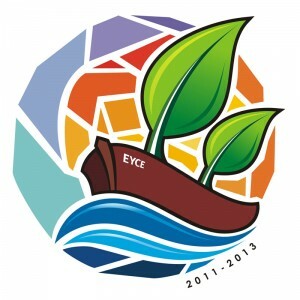 After achieving self-identified goals, successes will be shared with the other member organisations at the 39th EYCE’s General Meeting in October 2013 in Brno, the Czech Republic. On this occasion, the member organisations who joined the project will be awarded there by a certificate as an acknowledgement of their effort and willingness. The Be Eco Heroes! project is an essential part of the three-year EYCE’s Campaign to Promote Ecological Justice. After exploring theological and political perspectives and studying links between economy, society, politics and ecology, the campaign, in its third year, is focused on topic of sustainability. In this framework, EYCE – the Brussels office, as well as its memberorganisations – wants to evaluate their current practices and identify areas of improvement. EYCE calls its member organisations to join the project and through this process become more sustainable! A special website section dedicated to the project could be found here. For more information please contact the Campaign Coordination Team at campaign@eyce.org or Benjamin Mlýnek, benjamin.mlynek@eyce.org. ← CALL FOR ARTICLES 5th issue of The Leaf!